Many, many people experience phantom vibrations. 89 percent of the undergrad participants in this current study had felt phantom vibrations. In the two other studies on this in the literature -- a 2007 doctoral thesis, which surveyed the general population, and a 2010 survey of staff at a Massachusetts hospital -- majorities of participants experienced phantom vibrations. 2. They happen pretty often. The survey of undergrads and medical professionals agree: about ten percent experience phantom vibrations every day. 88 percent of the doctors, specifically, felt vibrations between a weekly and monthly basis. 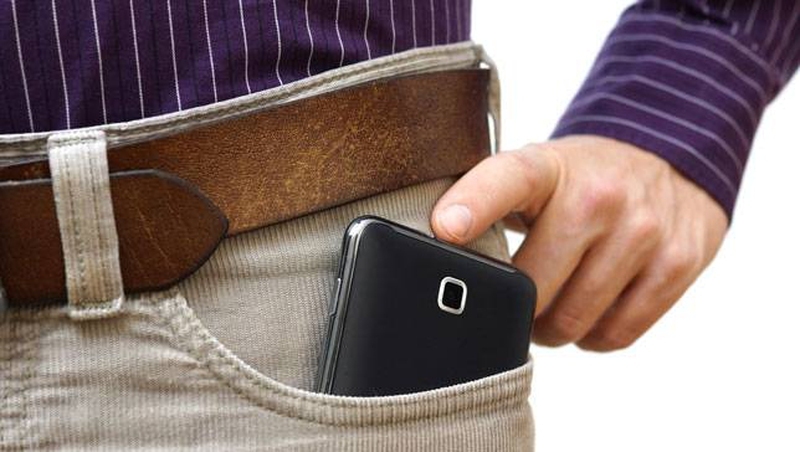 If you use your phone more, you're more likely to feel phantom vibrations. The 2007 graduate study found that people who heard phantom rings roughly used twice as many minutes and sent five times as many texts as those who didn't. Among those surveyed, working adults try to end the vibrations much more often than undergrads. More than eighty percent of the undergrads made no attempt to stop phantom vibrations. This doesn't match the hospital workers's number at all: almost two-thirds of them tried to get the vibrations to stop (and a majority of that set succeeded, though the sample gets so small lessons become unclear). If you react strongly and emotionally to texts, you're more likely to experience phantom vibrations. Droulin's study found that a strong emotional reaction predicted how bothersome one finds phantom vibrations. Emotional reactions to texts have been researched before: in a 2008 study of Japanese high school students, it was found to be a key factor in text message dependence. And that strong emotional reaction means personality traits given to emotional reactions correlate with increased phantom vibrations. People who react more emotionally to social stimuli of any type will react more emotionally to social texts. And people who react more emotionally to social stimuli can be sorted into two large groups (with the usual attached caveats about the usefulness of psychological groups): extroverts and neurotics. But they can be sorted into these two huge groups for two totally different reasons. But you can luck into fewer phantom vibrations. In this 2012 study, conscientious undergrads, capable of greater focus, reported fewer text messages than the rest of the undergrad population. We don't have great ways to study this yet. The three main studies all depend on people self-reporting their own phantom vibrations when they're taking surveys. In all three cases, the researchers just gave surveys to people -- 320 in the 2007 doctoral study, 169 in the medical survey, and 290 in this newest study -- and asked them to remember. "[A]t present," write the new study's authors, "the technology does not exist to measure individuals' perceptions of phantom vibrations in 'real time.'" They hope to apply brain scanning techniques in the future, and also that better technology will come along which will make phantom vibration reporting possible -- perhaps this technology will rely on mobile technology itself. Scientists don't seem to know whether this is a disease. The 2010 survey goes out of its way to declare "phantom text syndrome" a "Holy Roman Empire" involving neither phantoms nor syndromes. The newer study, though, classifies the perception of a vibration without the sensation of it a hallucination, and undertones, "typically hallucinations are associated with pathology." The study's authors wonder aloud if the doctors and nurses at the hospital were more eager to train themselves out of phantom vibrations because they worried about disease and abnormal symptoms, or because they were just old. And throughout the rest of literature, scientists have protested recently that aural hallucinations aren't a big deal, that they're not associated with a disease. The 2012 survey's authors compare phantom vibrations with hearing your name called when it wasn't. Server responsed at: 04/19/2019 10:41 p.m.